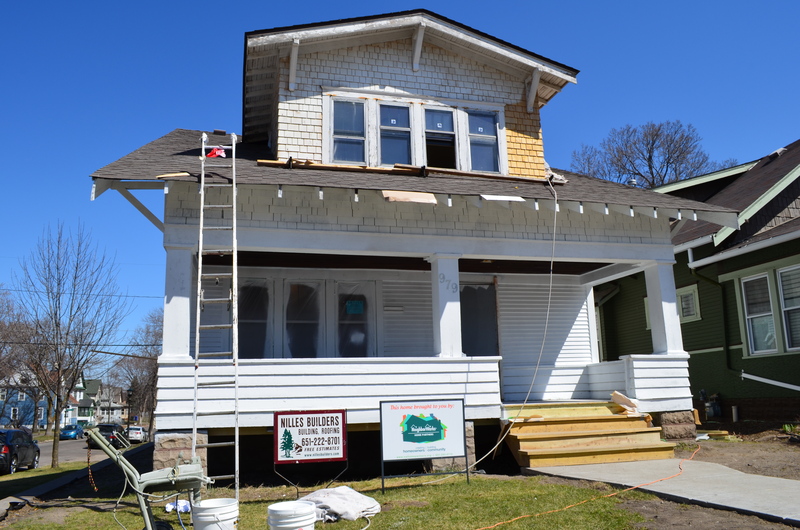 Creating homeowners, building community, and serving more neighborhoods through new partnerships. In my 6 years serving on the board, I have had the privilege of witnessing continuous improvement, involvement, leadership, creativity, responsiveness, growth. The NWHP team continues to step into spaces where homeownership resources are needed, and this past year in particular has seen the development of new partnerships that empower local communities by helping residents buy, fix and keep their homes. New partnerships created this past year allowed us to provide more organizations with down payment assistance and community-based home improvement lending, open the doors to increased counseling and education opportunities, and reach out to a bigger audience of real estate professionals through networking events. The team at NWHP wear their hearts on their sleeves, which I love, and are motivated every day to meet our common goal: helping as many people as possible. I hold a deep respect for this organization and the work they do. Congratulations on another successful year! Partnership has defined our work within the community from the very beginning. It’s even included in our name. 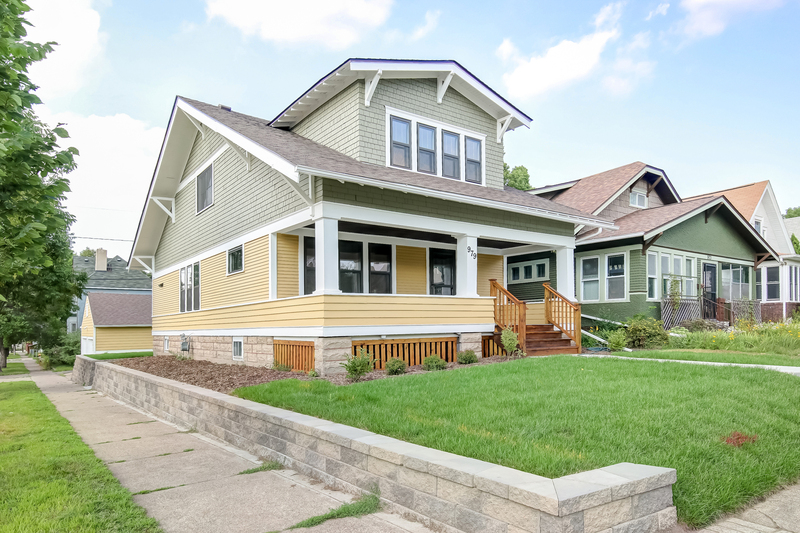 But in 2018, it became a focus as we continued work with longtime partners and forged new relationships throughout the Twin Cities to help even more people buy, fix, and keep their homes. ◦ Saint Paul City Council members and City of Saint Paul staff continue to be foundational supporters of our work and we are very grateful for their support. 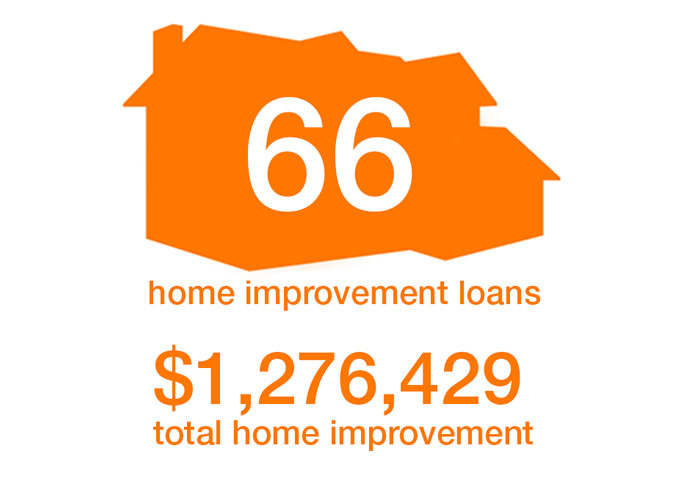 Over 100 households received home improvement or down payment loans thanks to this partnership. ◦ We expanded our offerings in Minneapolis. 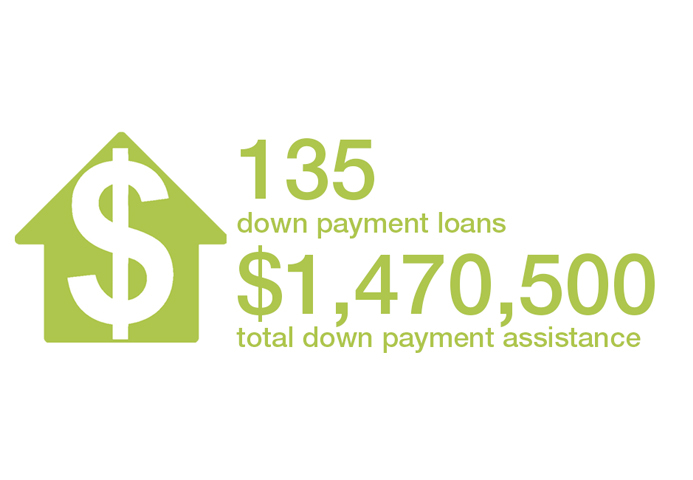 We launched Minneapolis-specific down payment and home improvement loan programs, and provided over 100 loans to homeowners and homebuyers. 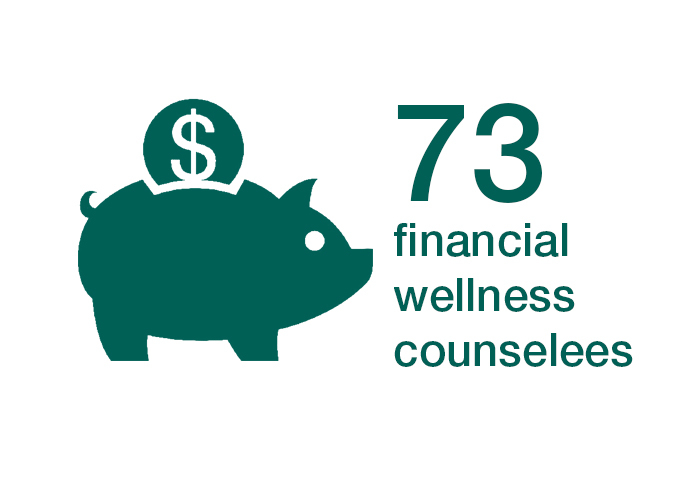 We also began offering our HUD-approved counseling and education services at Minneapolis locations with non-profit partners City of Lakes Community Land Trust and EMERGE. ◦ We launched housing programs in partnership with municipalities to meet the home improvement and down payment needs in their neighborhoods. This included partnerships with the cities of Woodbury, Shoreview and North St. Paul. 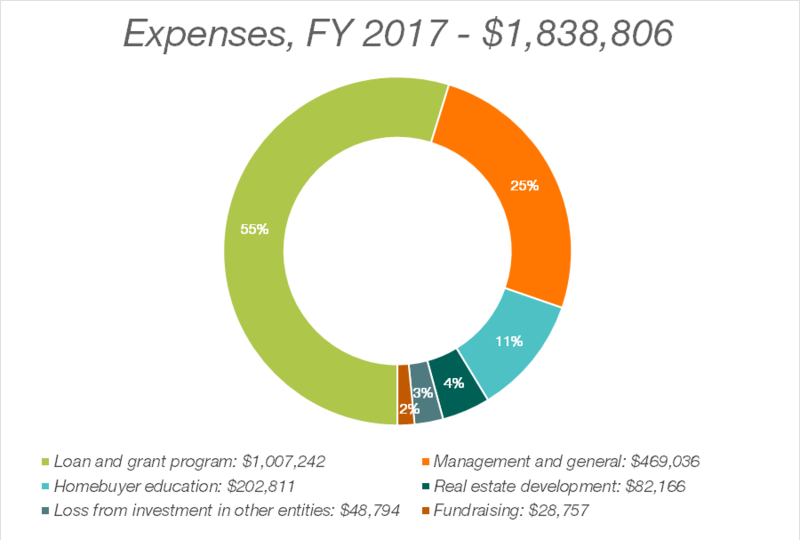 ◦ We strengthened several existing investor partnerships while charting some relationships with new supporters to bring more resources to the table to meet a variety of community needs across all of our programs. This includes relationships at both the national and local level. One of our goals as an organization, and for me personally, is to help as many people as possible. It is easy to be excited about helping hundreds of families every year, but I never forget that behind each number is the story of an individual life, the importance of home, and the stability that home offers to each person. And behind that story is you. 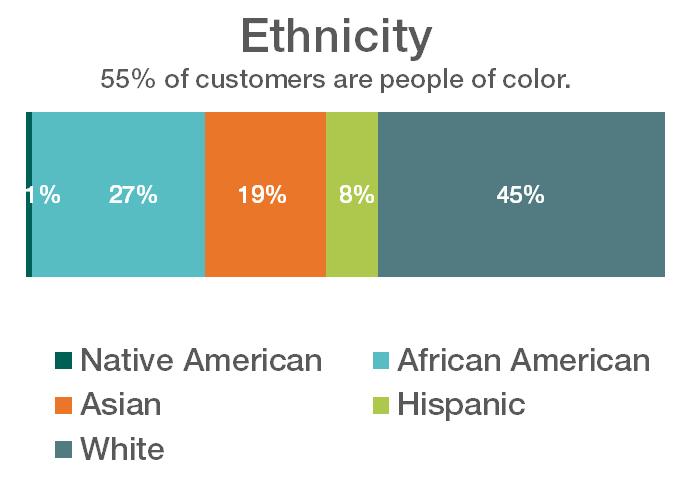 From our staff, board, and most importantly, our customers, thank you. Support from advisors makes a difference. Working with their advisor, the Cooks created an action plan to put them in a better position to qualify for a mortgage and afford a home. This plan included paying off old debt, paying down their credit cards, and increasing their savings. Robert and Kristin realized that this was a lot of work, but they were up for the challenge. 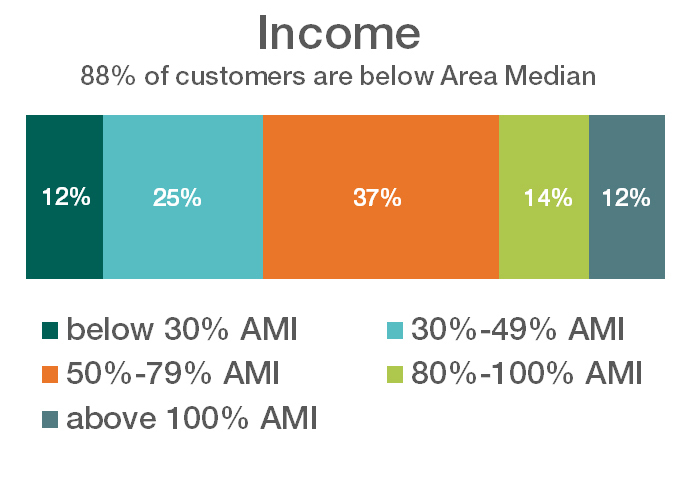 In less than a year, they had improved their credit score enough to reach the mortgage qualification level. But they needed to be in a better position with other debt before they could take on a home loan. With their eye on their goal, they changed their spending habits, made sure to pay their current credit cards and loans on time, and continued to pay off their old debts. 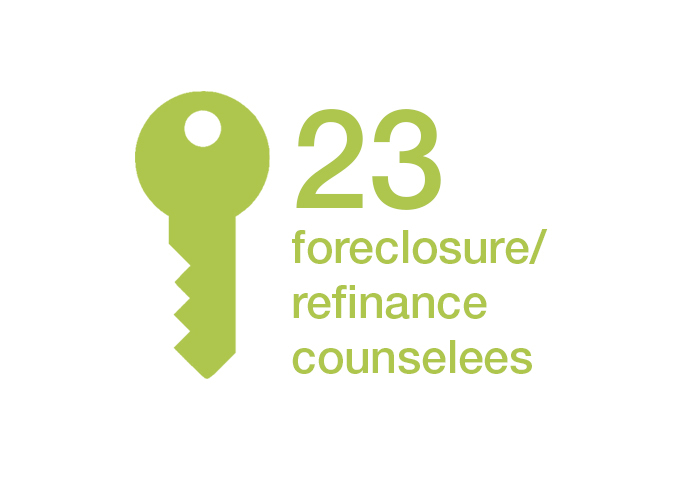 After 2 ½ years of hard work, they increased their savings, paid off old debt, and paid down their credit cards. Their credit score increased almost 150 points! They were ready and were soon pre-approved for a mortgage. Working with NeighborWorks Home Partners had another benefit: after talking with their advisor, they learned about a down payment loan program through NeighborWorks Home Partners that would increase their buying power. 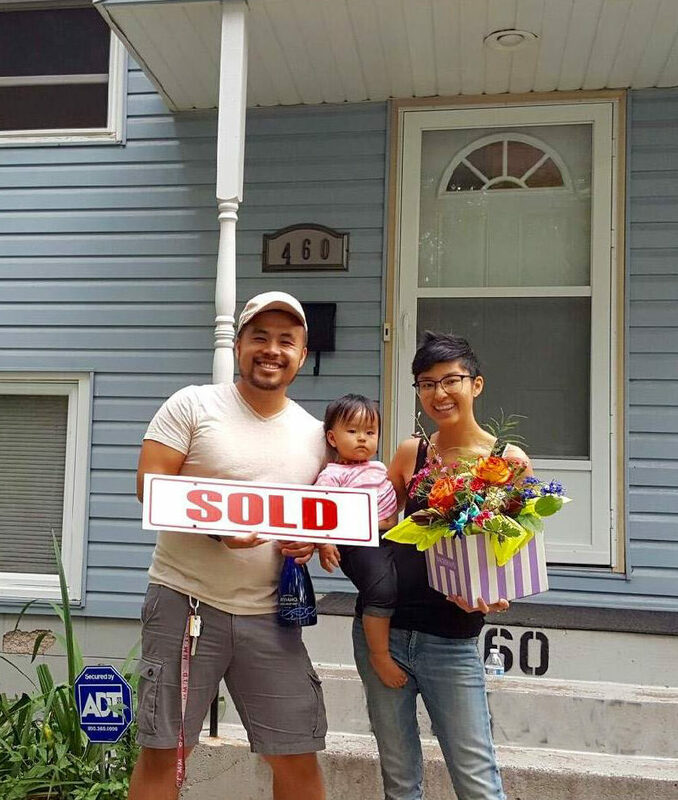 While their preparation was a long journey, when it came time to shop for a home they didn’t have to look far. Their new home is in a community they already loved, less than a mile from where they were renting. 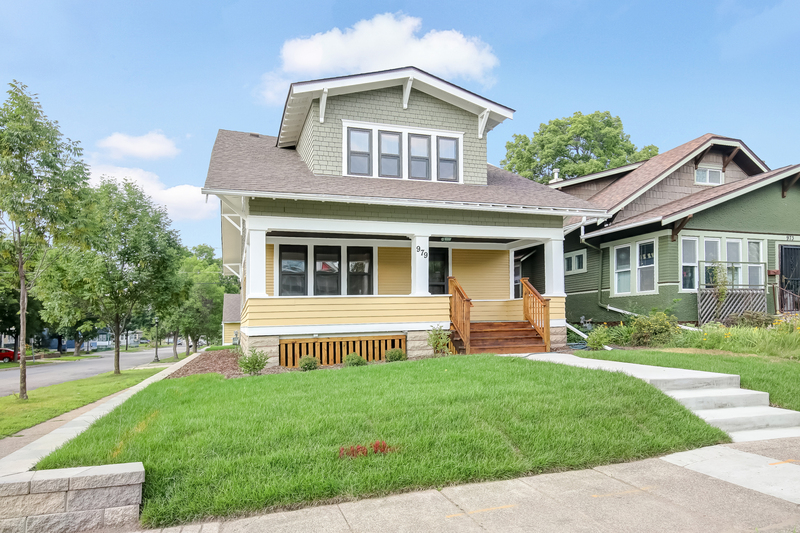 A new generation of homebuyer and a new life for a vacant home. A property meets its perfect match. Google “millennial homeownership” and you’ll come upon story after story about a generation choosing alternatives to buying houses. 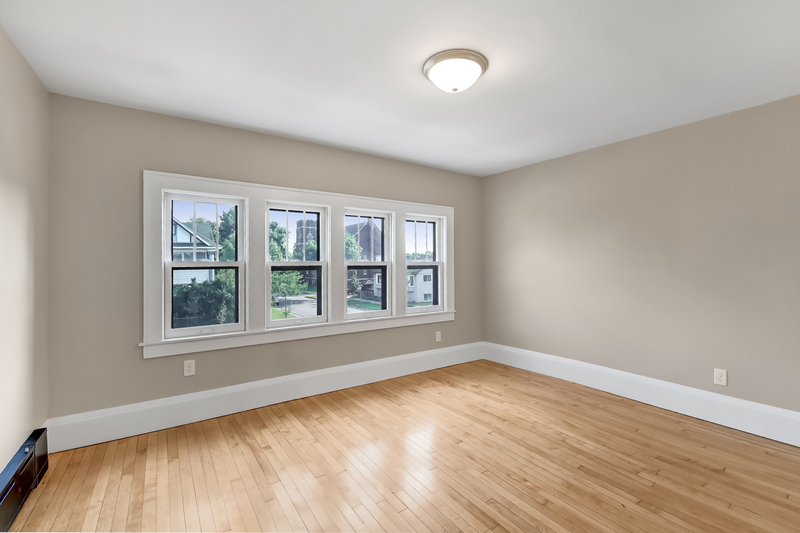 But a vacant home restored by our Development team turned out to be a perfect match for one young buyer. 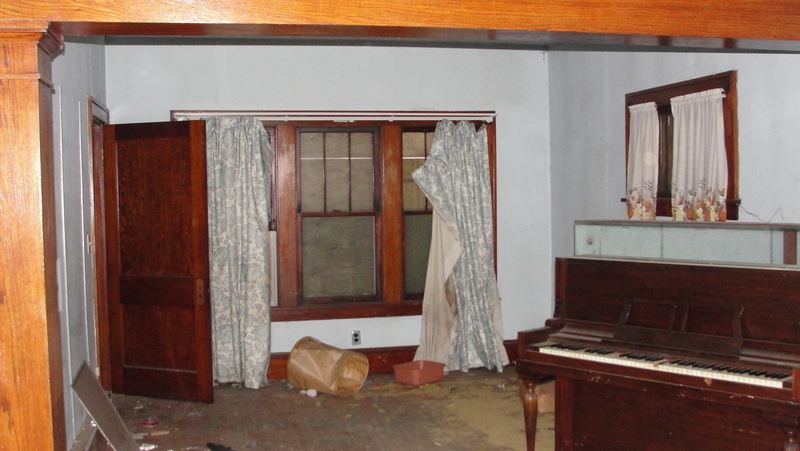 This house on the corner had suffered years of neglect and was filled with the collections of its previous owner – including some explosively unique items like live mortars! 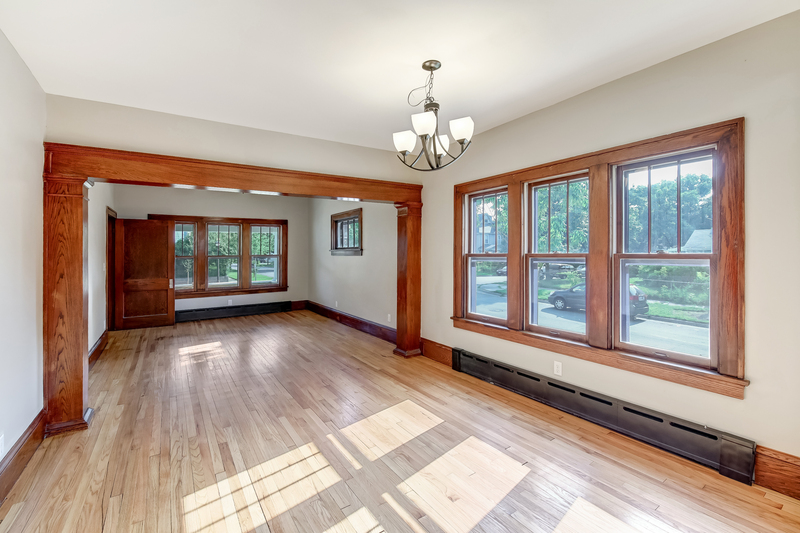 The home was restored to bring out historic qualities while improving the function and improving energy efficiency. 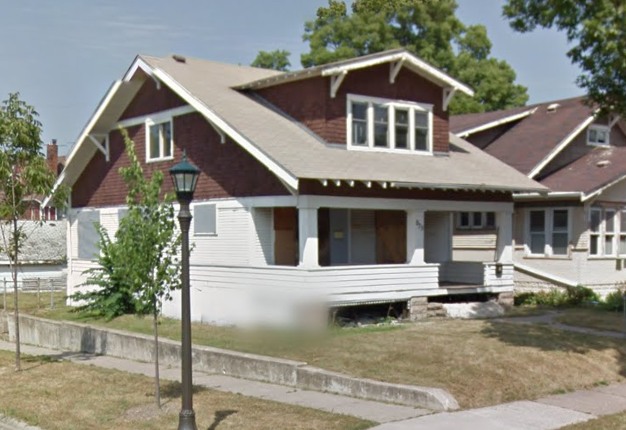 When it was listed for sale, it was found by a 24-year old business owner looking for her first home, and it was love at first sight. The down payment assistance that NeighborWorks Home Partners offered through Project Reinvest and Community Keys made it all possible. 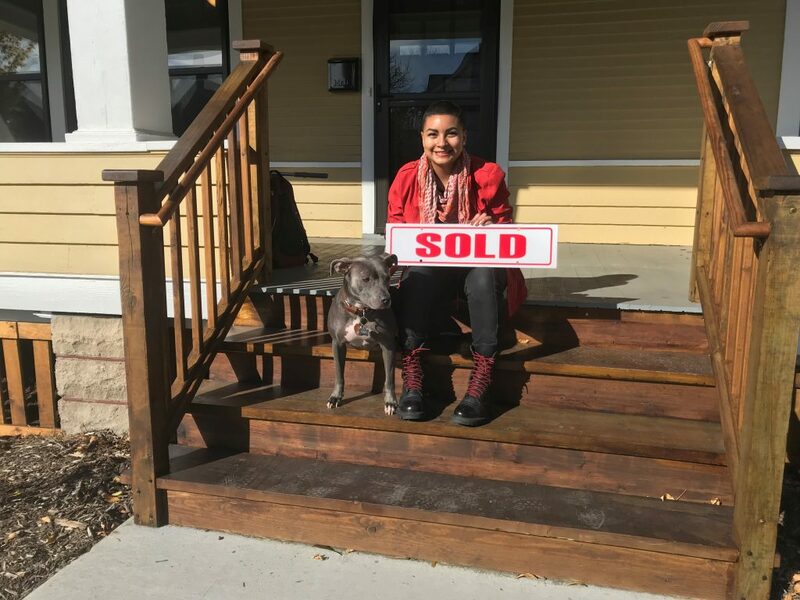 The new homeowner, Salvia, is a 24-year-old fashion designer at Clothier Design Source, a local apparel developer and manufacturer in Saint Paul. 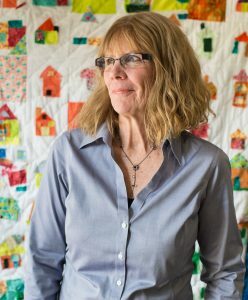 She began to pursue homeownership after a challenging search for a new apartment. Q: How did you decide to buy a home? A: My family always encouraged homeownership. I was looking at apartments and it was crazy. I have a pit bull and it can be hard to find places to rent that will allow dogs, especially her breed, and rents were high. It was cheaper to buy through NeighborWorks than to rent! Q: Did it take you a long time to find a home? Was it hard to decide? A: I looked at a lot of houses. I knew this was the one as soon as I walked in! This house is in great condition and I don’t have to make a lot of repairs, which is good because I don’t have a lot to spend! Q: What did you think of the homebuyer education? A: There were some things I already knew, but I learned a lot. The biggest thing for me was that I didn’t know what equity meant and how to build it, but now I’m doing it. Q: What does it feel like to own your home? A: I feel excited and totally overwhelmed! It’s been a long process and now I’m excited for the next adventure! I’m going to paint the walls with birch trees. I’ve already met a lot of the neighbors – my next door neighbor is going to teach me about gardening. Q: Did you think this would happen at this stage in your life? A: I am super surprised that I have a house now! I just turned 24. But I think I’ve inspired a lot of my friends and shown them that this is something that could be done! A lot of us don’t have a lot of money – life is expensive! – but this was achievable. I couldn’t have done it without NeighborWorks Home Partners, Community Keys, and Project Reinvest. Omar works full time as a night security guard, a position where he is responsible for keeping a calm and orderly environment. But his life was turned upside down when a fire damaged his Woodbury townhome and rendered it uninhabitable. 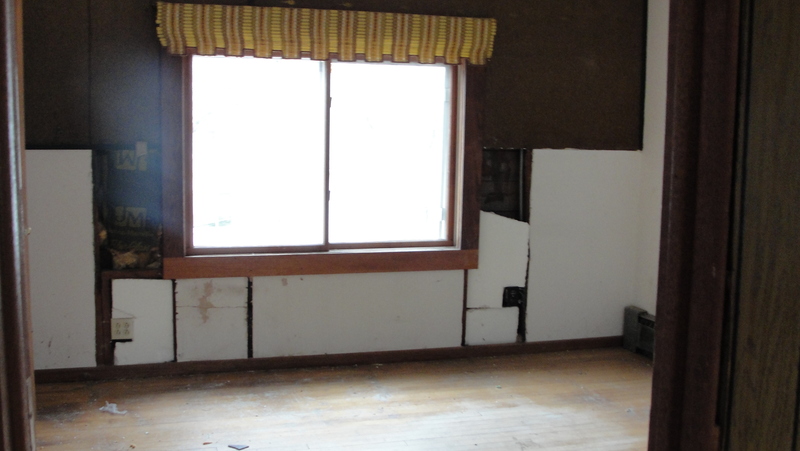 He found he had nowhere to live, and that the insurance settlement would not be enough to restore the home. Omar’s home is part of a 10-unit townhome complex that was built by Habitat for Humanity. 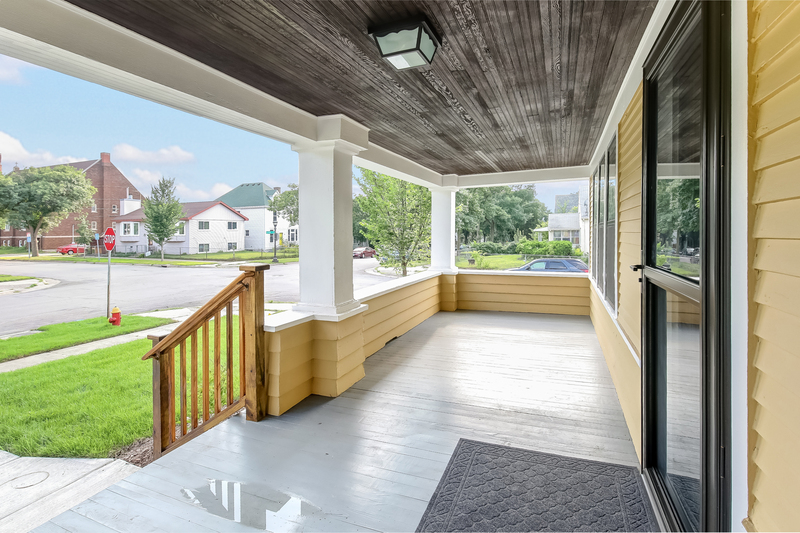 As a townhome, the insurance policy is purchased and held by the governing association, and the insurance claim was even more complex than usual. 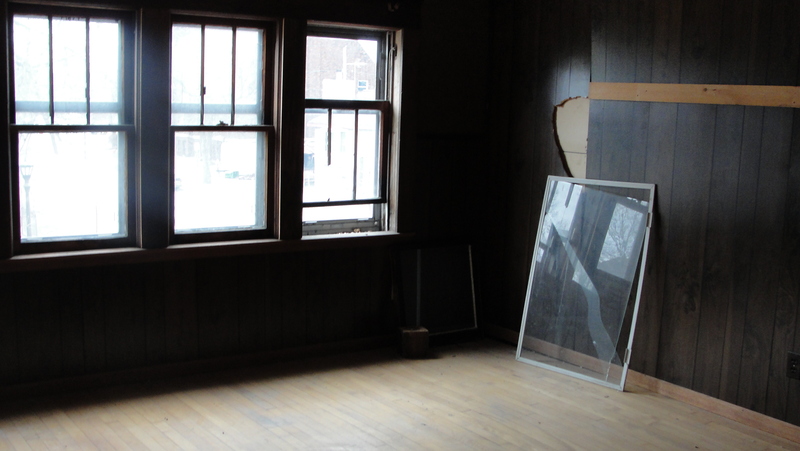 With the settlement falling short, and Omar unable to find other financing to make up the difference, the neighbors were also saddled with a a damaged and vacant unit without options for repair. 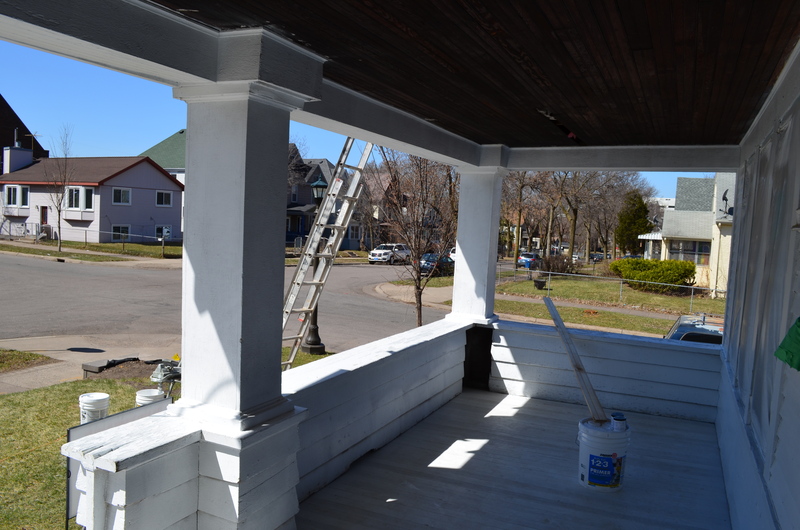 Thankfully, the City of Woodbury had recently launched its partnership with NeighborWorks Home Partners to administer home improvement funds for city residents. 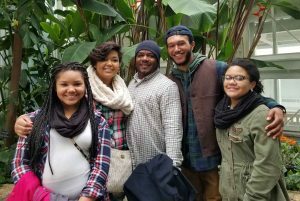 Working together, Omar was able to get a loan at below-market interest rates that will bridge the gap and allow Omar and his family to move back into their home before the end of the year. It’s a partnership we couldn’t be more proud of. 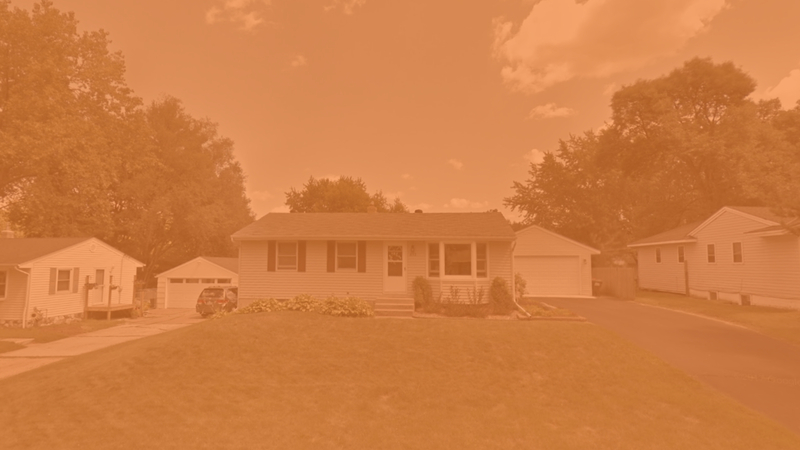 Five years ago, NeighborWorks Home Partners was chosen to partner with NeighborWorks America and Wells Fargo to bring NeighborhoodLIFT down payment assistance to Minnesota to help homebuyers bridge one of the critical gaps to homeownership. The success of this partnership – we helped more homebuyers at a faster rate than any other organization in the country – led to the Twin Cities receiving another round of this funding in 2016. And we were ready to take the lead. 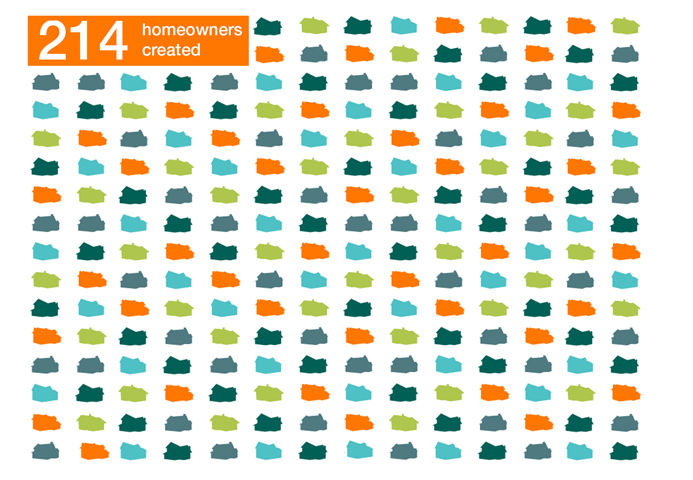 In just two years, we helped 456 households achieve homeownership with a down payment loan, investing $4 million in neighborhoods in Minneapolis and Saint Paul. 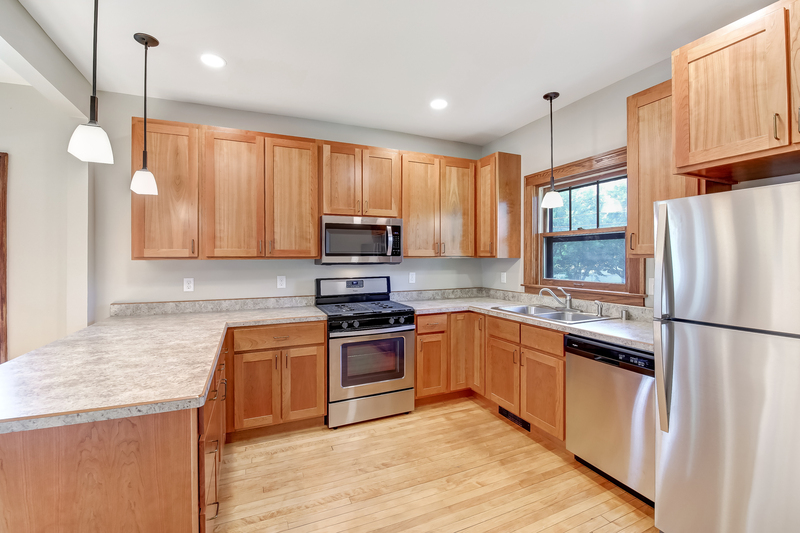 Buyers matched this investment with an additional $2.1 million. And these down payment funds arrived at a critical time for homebuyers. Home prices were on the rise and inventory was extremely low. For a typical homebuyer, these statistics create bidding wars and limit choices for an affordable home in good condition. Down payment resources such as NeighborhoodLIFT create a window of opportunity that lets new homebuyers be competitive and find a safe home at a price they can afford. 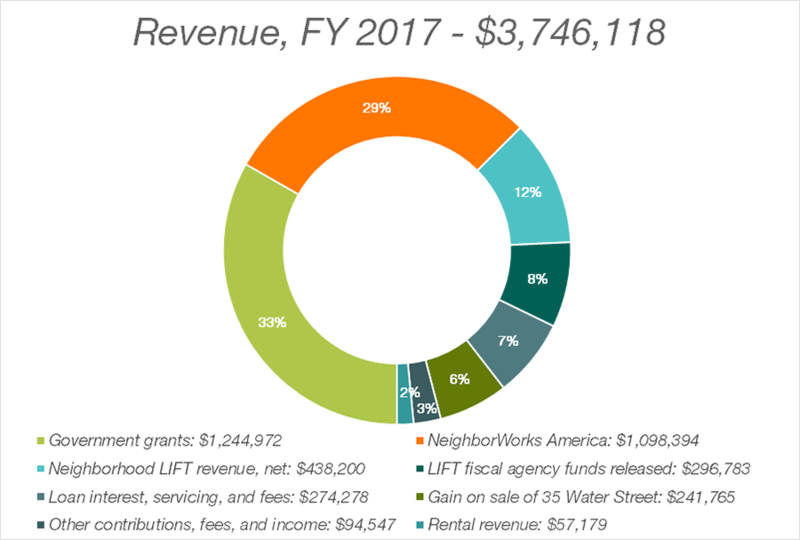 Our success with NeighborhoodLIFT paved the way for an additional $1 million in down payment funds awarded from Project Reinvest: Homeownership Down Payment Assistance through our national affiliate, NeighborWorks America. Due to high demand, these funds were also nearly exhausted after less than one year. Gina DeNardo Graf explains credit and homeownership at a workshop at Hamline Elementary. 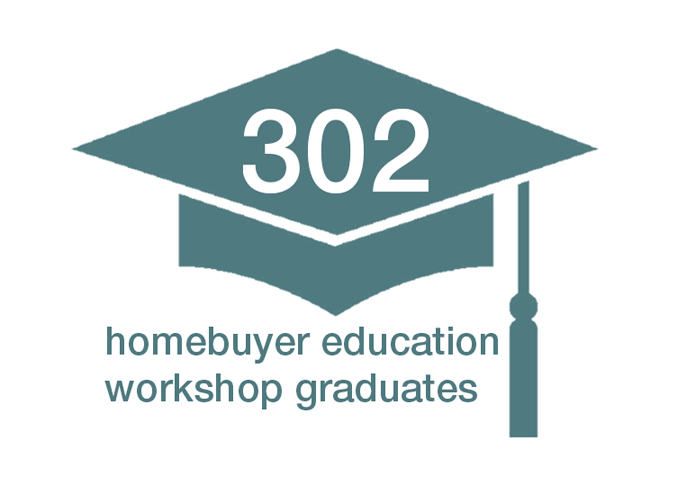 NeighborWorks Home Partners launched two new monthly events in 2018 to help more people learn about our homebuyer education, mortgage readiness, and home improvement programs. Homebuyer Basics was developed in response to a workshop we conducted at Hamline Elementary in partnership with their Family Resource Center and Parent-Teacher Organization. Gina DeNardo Graf, one of our homeownership advisors, taught about the homebuying process and explained the ways credit can impact your ability to get a mortgage. After a lively question-and-answer period, many people stayed afterward to ask more questions and sign up for individual advising appointments. We saw that there was a need in the community for more ways to access information about buying a home and connect with education and down payment resources. In response, we began offering the class at our offices on the third Tuesday of each month. The one-hour course is free, and is an accessible way for people who are thinking about buying a home (or who aren’t sure if it’s possible for them) to get started on their research and preparation. Similarly, Networking with NeighborWorks happens monthly on the third Thursday. Professionals in a variety of real estate-related fields (Realtors, loan officers, insurance agents, inspectors) are invited to meet at our offices for coffee, conversation, and an opportunity to learn about our programs and ways to partner so that they can better serve their customers, and we can reach even more future homebuyers. We are blessed to have a home improvement team that includes Marie Malrick and Matt Brown. You’d be hard pressed to find a duo with as much experience helping people repair and improve their homes. But even more impressive is their passion and dedication for making sure everyone has a place to live that is safe, comfortable, and meets the needs of their household. Marie, our Home Improvement Lending Advisor, came to NeighborWorks Home Partners after decades of service in a similar role at Greater Metropolitan Housing Corporation. 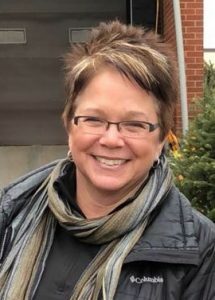 She has a thorough knowledge of home improvement lending programs and is eager to help customers find the very best program that will meet their needs. She also shows patience in helping homeowners understand what are sometimes complex documents, and goes the extra mile to meet customers where they are – literally! When a customer with mobility impairments needed home improvement help, Marie visited them at their home to take care of the loan closing documents. Matt has a heart for service, the eye of artist, and has always been drawn to working with shelter and structure. He combines these interests as our Construction Manager. Matt came to NeighborWorks nearly 15 years ago after many years working as a contractor and later a site supervisor for Habitat for Humanity. 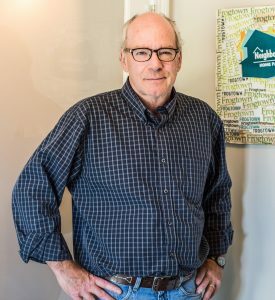 He finds joy in helping homeowners navigate the construction process and get the improvements they need for their homes. He also served helping rebuild homes in New Orleans after it was struck by Hurricane Katrina. That experience later served as inspiration for a series of oil paintings he created that melded images of the destruction with photos from Matt’s family tree. We don’t do what we do for the recognition, but sometimes it’s nice to get noticed. 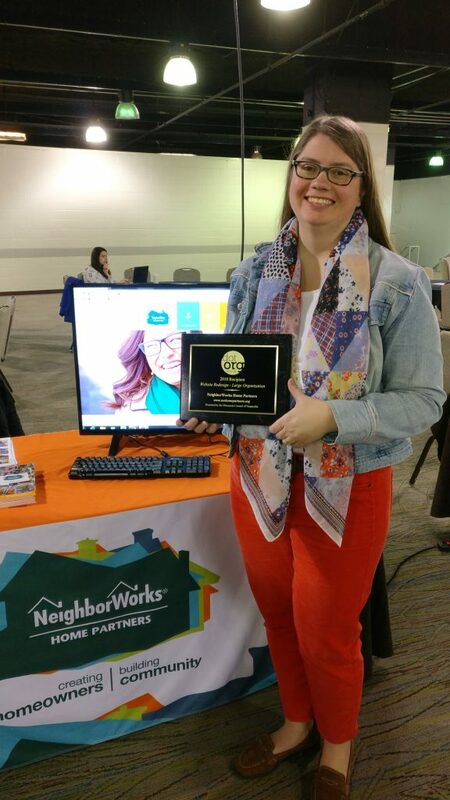 In 2018, an extensive rehab of our website, NeighborWorks Home Partners was awarded the Minnesota Council of Nonprofits’ Dot.Org Award for Website Redesign for a Large Organization. The award recognizes two nonprofits who are using technology and communications in inspiring, effective and creative ways. New features that helped our website stand out were the integration of user accounts that allow customers to upload documents and take control of their service processes, improve sharing of information, and allow more staff time to spent helping customers instead of managing paperwork. The site also features improved navigation and easier to understand organization and content. 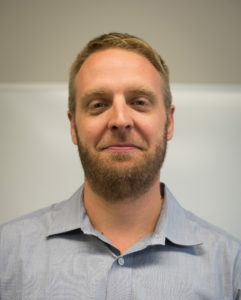 NeighborWorks partnered with Cary Walski of Copilot for the website redesign. Amanda Welliver, Marketing and Communications Coordinator, shows off the award and demonstrates the new website. Every day we help another homebuyer become a homeowner. 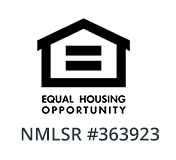 You can be an important partner of this exciting and important work – making homeownership opportunity available to all strengthening communities, and helping people stay in their homes – by supporting us with a one-time or recurring donation. Please become a NeighborWorks Home Partner by making a gift today.